ISLAMABAD, Mar 21 (APP):Prime Minister Imran Khan telephoned the Prime Minister of New Zealand Thursday and appreciated her firm stance against rising Islamophobia and global extremism, following the terrorist attack at two Christchurch mosques, in which 50 worshipers lost their lives. “Prime Minister Arden has shown the way to other leaders in the face of rising Islamophobia and global extremism,” Prime Minister Khan said, in a statement issued by the PM Office. Imran Khan appreciated the quick response of the local authorities, the “humane handling” and compassion of Jacinda Areden for the Muslims who were in a state of shock after the horrific massacre at their places of worship. Prime Minister Jacinda Ardern won the hearts of the people of Pakistan in particular, and Muslim communities around the world, in general, for adept handling of the crisis, her healing words and actions for the Muslim community. “Pakistan stands by the government and people of New Zealand in this hour of grief,” he said. Nine Pakistanis lost their lives in the attack, while one person was still in a critical condition at a Christchurch hospital. Prime Minister Arden, who has been praised globally for reaching out to the Muslim community, said New Zealand was in shock and shared with him the immediate measures taken; including the banning of all military style semi-automatic guns and assault riffles. In a gesture of solidarity, the New Zealand Parliament, in a historical moment in time on Tuesday, began its session with the recitation of the Holy Quran. The Television and Radio New Zealand would broadcast live the Azan – the call for prayers – for the Muslim community on Friday, a week after the country lost 50 Muslim Kiwis. The country would also observe a two minutes silence. Foreign Minister Shah Mahmood Qureshi talking to the press, described the statement, made by the Prime Minister of New Zealand at the Parliament as “balanced and impartial, without a hint of racism.” He said terrorism does not relate to any religion but was a mindset. He was also appreciative of Prime Minister Arden for reaching out to the Muslim community. 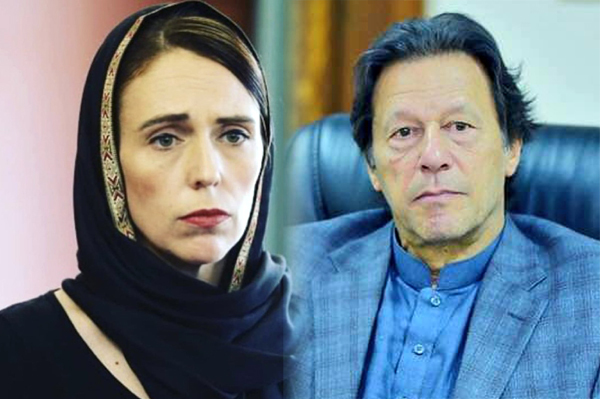 Prime Minister Imran Khan invited Prime Minister Jacinda Arddern to visit Pakistan.